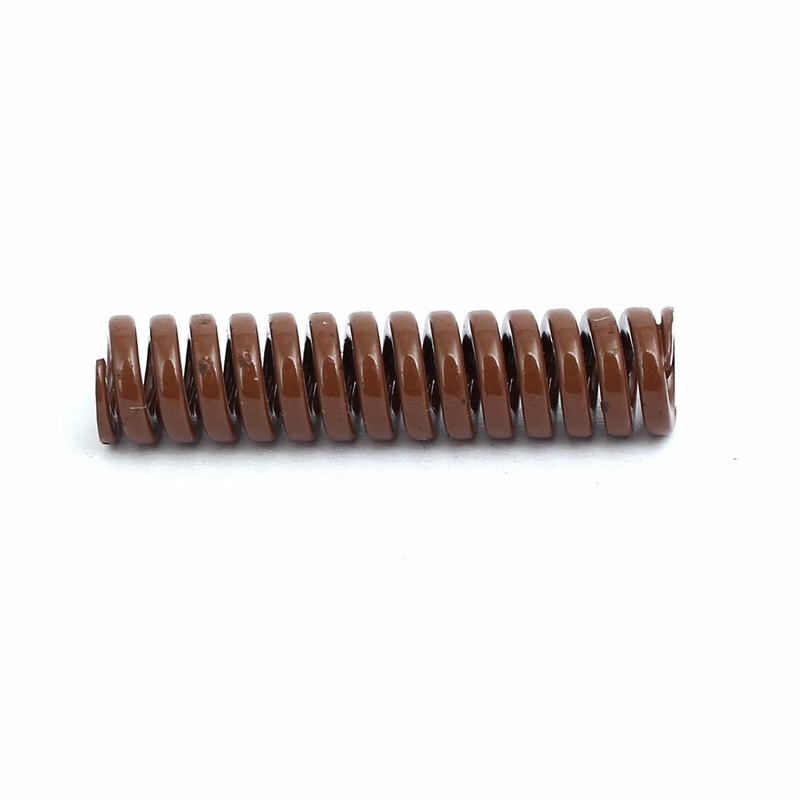 Compression Mould Die Spring, Made of 65Mn Spring Steel Material in Brown, with Ultra Heavy Load / Extra Heavy Load. Additionally, we want to tell you the loading grade of die springs in various colors (from lightest load to extra heavy load): yellow, blue, red, green, brown. BROWN ones are the heaviest load ones. Outside Diameter: 8mm/0.31"; Free Length: 35mm/1.4"